How can you develop high-performance sales teams that disrupt the market for complex, high-consideration, disruptive products? 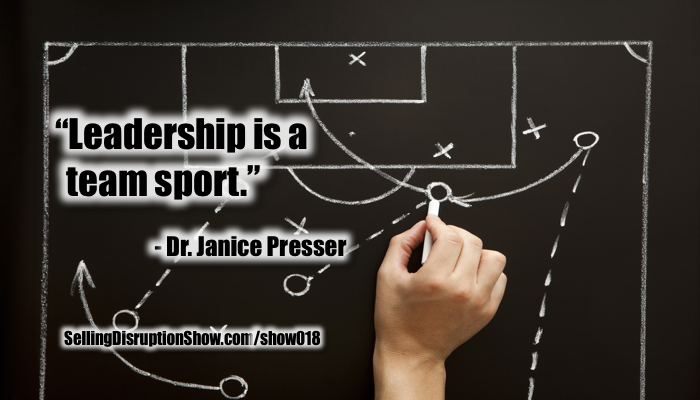 Dr. Janice Presser discusses how to create living teams that can do just that and why a successful teaming strategy must be based on the leadership style of the team leader. 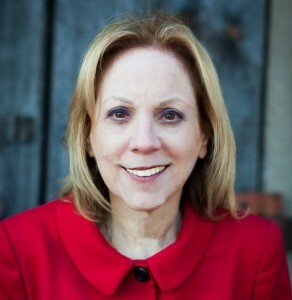 Teamwork expert, Dr. Janice Presser, CEO of The Gabriel Institute, is a behavioral scientist and the architect of Teamability® – a completely new technology that measures how people will perform in teams. Dr. Presser has been engaged in the research and development of talent science and team analytics for over 25 years. She is the author of seven books, including the forthcoming, Timing Isn’t Everything. Teaming Is. Dr. Janice’s Book: Timing Isn’t Everything. Teaming Is. coming soon. Watch Dr. Janice’s TEDx talk, Timing Isn’t Everything. Teaming Is. Mark S A Smith: Dr. Janice Presser, CEO of the Gabriel Institute, was somebody I met via my favorite way to meet new people I don’t yet know, through LinkedIn. She’s a behavioral scientist and the architect of Teamability. I saw her TEDx talk and was blown away about her insights on how to use science to pick the right people to be on your team, and I’ve just got to share this with my tribe. Dr. Janice Presser: Hey, great to be here. Hi, Tribe. You’re my tribe, too. Mark S A Smith: Absolutely true. Smart people are always part of my tribe. Your new book “Timing Isn’t Everything. Teaming Is” just dropped. Congratulations. Dr. Janice Presser: Thank you. Mark S A Smith: That’s a really big. That’s number seven for you, and so you’ve got lots of really interesting things going on. Let’s talk about Teamability. How did you figure out that we needed to be scientific about approaching how we put together teams? Dr. Janice Presser: For a very long time, since I started thinking about how do you actually measure what’s going on between people because that’s what teaming is, I was kind of frustrated because what did we have then? We had personality traits, we had intelligence scales, we had all these things that you could measure but essentially what you were doing was asking somebody about something that was inside them, not what goes on between people. Well, I wasn’t a academic type, I was a business person. I actually was president of a sheet metal manufacturing company back in my young days. But, it doesn’t matter, you know, customer service, manufacturing, engineering, sales. Everything works better when you’ve got positive team chemistry. Dr. Janice Presser: I was truly blessed in the mid 80’s and met another scientist like me, who was also looking at the question of how do you measure teamwork, and it was almost, like, I had the chocolate, he had the peanut butter, and we, you know that happens. We just teamed up. It was very logical. We realized that we were thinking of teaming completely differently. The normal way is just like what we did. We network and we love LinkedIn because we get that quick background, and we know where can we make magic happen? Maybe you call it synergy but it’s basically scientific magic. That’s because in our view teamwork wasn’t just that kind of we meet each other and I offer you something, you offer me something. That’s transactional. We were looking at teaming as being transformational. That is what happens when you have people who are serving the needs of something much bigger than themselves. The whole organization with your sub-team. How does that work? And that’s when we moved from looking at psychology to my first love, which was just some theory and physics. That’s essentially where it came from. Mark S A Smith: And that’s where you and I have that connection, because as an electrical engineer I really love systems. I love creating these things that work every time until the battery runs out. 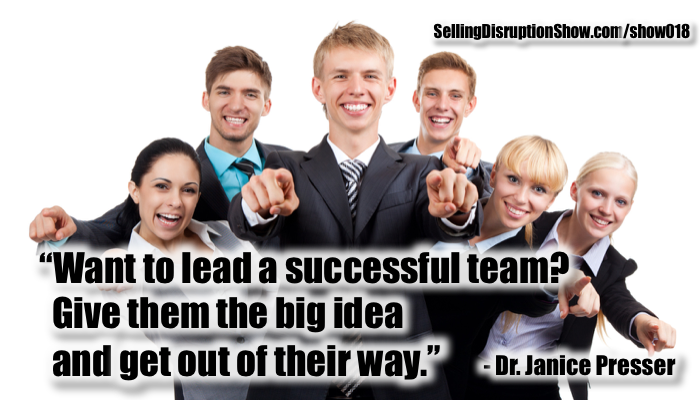 Dr. Janice Presser: Yeah, I like teaming that has the self-recharging battery. Mark S A Smith: Awesome. Dr. Janice Presser: Because we recharge each other. Mark S A Smith: That’s really good. And it’s not about picking people you necessarily like for the team because was have to work with people that like to do things we don’t like to do if we’re going to have a successful team. Dr. Janice Presser: That’s the secret. Mark S A Smith: Yeah. So how do we figure out how to put together the best quality team for a job? Dr. Janice Presser: You start with what you have, and when we engage with a company we actually start with a tiny little pilot, because this isn’t about, “Oh, do you have the right aggressive people for sales? Do you have the right friendly people for customer service?”. It’s about how do people feel driven inside to make a contribution to something bigger than themselves. So, you have to ask yourself, “If I want to put somebody on my sales team.” For instance, the life blood, sales is the life blood of all our business, “What are the actual needs of this team?” and the one that people usually forget about is that you need somebody who likes to do that stuff that nobody else wants to do, like filling out the expense reports, and following up on things. That’s what you’re looking for because you can have a great sales team and then you can torture them. In my sales team, is excelling disruptive products, vision movers, vision movers, vision movers, and a couple of explorers to go out and find the cool new customers, like legion type people. Mark S A Smith: Yeah, sure can. Dr. Janice Presser: Meanwhile the sales people are on the phone, following up with clients, making a new appointment, going out networking and everybody is happier. Mark S A Smith: Yes, brilliant. Dr. Janice Presser: So easy. So easy. If you just assemble a team that has people in the right proportions of what you need things done, who love what they’re doing, and who actually meet that need of that team it’s great. But when you have extra people on the team who don’t actually meet a need of that team, that team is a living, breathing thing, well they get in everybody else’s way and they’re not having any enjoyment. So, people will be different from you and that’s great because they’ll do the things that you don’t like doing. That’s one reason for a lot of them. And it’s because they’re doing it toward the same vision that you have. That’s where the team chemistry comes from. Mark S A Smith: That’s right. I really like the point you just made about is everybody needed on the team. Because I’ve certainly been on teams before going into my own business, where there were folks on the team that should not have been there. And then we have this thing called “politics”. Dr. Janice Presser: Ooh, yes. Mark S A Smith: And then they end up having to generate ways of making themselves important which just distracts everybody from the real task at hand. How can we prevent this from happening? Dr. Janice Presser: If we keep in mind that the individuals aren’t what’s important, think of the team as a living, breathing thing. Do what it needs. That gets you out of that idea that you’re the leader, so you have to lead all the time. You know, sometimes the team needs someone else to do it. It changes the entire way that you think about who belongs there and who doesn’t. How many meetings have you sat through that you really didn’t belong in? There really was no place for you? It’s a hard thing to learn. Sometimes I think the most important line in my personal internal job description is giving the big idea then get out of their way, because the team just needs me to give them the big idea and then I’m off to invent a new piece of the technology that will help people apply it better, things like that. And you certainly don’t need my input into things like marketing. I’ll report to you if you need me. Let me know that you need me for something. Mark S A Smith: That’s right. I really like this idea that a team is a living, breathing organism, made up of various organs, and systems, and chakras, and glands that actually creates something and generates something, and continues to regenerate. Dr. Janice Presser: Exactly. Isn’t it cool to deal with people who you feel like they just breathe more life into everything that you do together? Mark S A Smith: Yeah, versus sucking the life out of everything. Dr. Janice Presser: Absolutely. When you think of it in terms of sales, think about this. If you’re in sales you are sequentially teaming with every customer, every prospect, every interested person. Even if you do it in a very short term kind of way, that’s still teaming because you will lead each other better, because you’re both meeting the needs of this big team to get something new, good, wonderful, cheaper, better, faster, whatever it is that you’re selling, to somebody who’s going to put it to use. And ultimately make the world better. Mark S A Smith: Yes, I think this is a particularly important point when you’re selling, bringing to market disruptive technology where people don’t necessarily know that they need what you have yet. But they do need the outcome of what you’re selling and the team approach is a strategic methodology of bringing disruptive technology to market. So that idea of in sales you are short-term teaming with everybody involved in making the decision is an extraordinary viewpoint. How can a sales professional use this concept to better create those relationships with our customers? Dr. Janice Presser: Ah, well, if you understand what your customer’s team is like, what are they actually doing, you can get into it and solve problems for them that they may not have even realized were fixable. Mostly, to also make your own life happier, especially if you’re in sales management. By being able to identify people who really do live and breathe the sales way. How did we always pick sales people? Mark S A Smith: Usually it’s somebody who has the gift of gab. Dr. Janice Presser: That was it. And he was usually about six-one or so, right? Mark S A Smith: Well, usually an athlete. Dr. Janice Presser: That’s right. 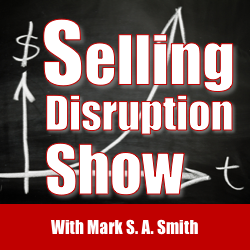 Mark S A Smith: And the reason why is because sales is the last job of choice for most people, and athletes, after they no longer can play games, have to do something, and sales is the easiest thing for them to do because they have discipline. They learn that from athletics. So they’re willing to go out there and try, and try, and try, and try, and try, and try, in the absence of their team. But bringing that back, what an interesting way of plugging this together. Take that insight that they learned as a team player and apply that to sales. Dr. Janice Presser: Anything that you did as a team player you have to pick up on the signals of other people and probably change where you were going. Well, doesn’t that describe sales? That’s exactly what it is only I do have to put in a plug for we who are not ex-athletes but let’s say on a good day closer to 5-2 than 6-2. Do you really want to get something across to somebody that is going to fundamentally make their business more valuable? Those are the best sales people. One of my favorite partners who uses Teamability in his coaching business is in fact an ex-pro athlete. Well, learned it on the basketball court. It’s the same thing, by the way, and it doesn’t have to be pro, because we all played something when we were kids. Mark S A Smith: I was a band geek. It still is teaming. Dr. Janice Presser: It’s totally teaming. If you are not singing in harmony and all are pretty much on the same page there, it’s the experience. Qualitatively it’s exactly the same thing. Mark S A Smith: That it is. Interestingly Hewlett-Packard, awhile back, did a survey on what makes their best engineers, looking for that common ground, so they could pick more of them more rapidly. What they found was one commonality in as that they were playing musicians. It’s that idea that you have people that can play within a structure, you know when to step forward, you know when to step back. You know when to support, you have a long-term view because we’re playing the song to the end. You have short-term view of where we are right in this moment. What a brilliant concept for applying to teaming. Dr. Janice Presser: Let me plug one more thing into that model for engineering. There are different kinds of engineers. There are the big picture design engineers and there are the engineers that are very focused on meeting very small tolerances. If you’re sending something to the moon please let’s get the latter ones. I want the people who are going to look for errors, look for things that could go wrong and will find them, will fix them and make them right with a capital R. That’s one way of contributing. But, that’s not the way we all do it. There are those of us who look at this great big picture and say, “How can we make this even more useful, or more, well, anything?”, and the analogy in sales is what are you selling? If you’re selling something that fixes somebody’s problem, and I’m thinking that anybody who sells cellphones off that pushcart in the mall is probably selling one to me on Sunday morning because oops, you know what happened. Something ended up in a place it wasn’t supposed to be and I really, really need this problem fixed, and I need it fixed yesterday. Versus people who sell things, like, nuclear power plants. That is long-term, and you’ve got to interact with everybody from, I guess, the generals on down to the pocket-protector people. It’s much different. You need a much broader flexibility of the way you team, and you ultimately are contributing in a different way because what you’re actually doing is taking the big vision of the general, the CEO, whoever it is, and you are helping them move their big vision into strategic reality. You’re using a lot of what we would think of as selling in the strategic realm. You just don’t do that with cellphones. Mark S A Smith: No, you sure don’t. Dr. Janice Presser: It’s a different thing. It’s a fixer. And somewhere in the middle are people who are selling things like life insurance, which is not a quick fix, but it’s also not a long-range thing. Amazing, but there are people who contribute in completely different ways who will align best with one, or the other, or the other, and we still call them all sales people. And what’s that about? Mark S A Smith: That’s right. In the selling disruption model we talk about high consideration products and low consideration products. They’re sold completely differently. Of course we had the second access which is how many people are involved in making the decision. Is there a team zero or is there a massive team? That completely changes the way that we have to communicate, persuade, motivate, and message to everybody involved, and so you’re absolutely spot-on. Dr. Janice Presser: Yes. In fact, there’s actually two other really important factors which are measured by Teamability. The first one, we call that role, the way in which you want to give to the big team. The second one is under what circumstances do you thrive the best? So some of us love ambiguity. We love fast changing business environment. People sometimes call us risk takers, they call me entrepreneur, we call it excitement, not scary stress. But to other people, the more people involved the more stressful it gets. The longer the sales cycle the more stressful it gets. So, identifying people, no matter what they’re doing, who will do better in one type of environment or another is very critical. That comes straight out of physics, it’s a measurement of coherence, just like laser lights are coherent lights, so it does amazing things. The third thing is that there are situations in which particular teaming characteristics, and there are tens of thousands that we’re looking at and we only report on the prominent ones, some would be a real asset to you in one situation and pretty much a career de-railer in another one. This is about how will you interact with the people, the process, the situation, and there can be kind of a small difference between candidates, let’s say for a CEO or other executive position, and it’s one fairly minor thing in the greater scheme of things but it happens to be something that that company, that industry, that environment is critical. And, so, go with it. If it’s that important then that’s the person who you need. Mark S A Smith: I really like the concept that we need to change our team up depending on the task at hand, and from the sales standpoint if we’re using short-term low consideration or high consideration type of approach to our customers it’s going to require completely different set of people involved. And of course in technology sales we see that frequently as we have a role of an engineer come into play. Dr. Janice Presser: They’re my favorite customers. Mark S A Smith: And they’re my favorite part of my tribe. Dr. Janice Presser: Oh my god I wrote my first line of code in high school, but women weren’t engineers then, so, I would’ve made a pretty cool engineer. Mark S A Smith: Well, you’re right now doing social engineering. Dr. Janice Presser: If we can team with our… oh I like to call our silicon-based lifeforms that is all the great technology that is out there, if we don’t team well with it we don’t belong in jobs where that’s really important. So, if you get frustrated by using a technology that’s essential to your job, you’re either going to blow up at people or you’re going to melt down. And that’s not going to be a great environment for you. That match is truly important. Mark S A Smith: Well you’re absolutely spot-on. Technology is a silicon-based life form and I love Kevin Kelly’s book “What Technology Wants” which discusses that it is an alive organism, and if you haven’t read it it’s a mind-blower. It’s a mind-bender. You and I are absolutely on the same track as far as high consideration, low consideration, how we have to throw different resources at it. Dr. Janice Presser: It’s a truly visionary sale, that is it’s going to be much longer-range, you need somebody who’s a sound or a vision mover who does both, and they’re commonly entrepreneurial types. But if they do not team in a highly coherent manner what will happen is they will veer off and they will, under frustration, blow the sale right out. Mark S A Smith: Yeah they will. I’ve seen it. Dr. Janice Presser: Right, you’ve seen it. I can tell you, I can predict it. While, if you’re selling something that’s very low-key and doesn’t involve anything like that, like development activities for academic institutions where you have lots of people to go to and they have lots of money, and they were motivated before you got there, you’re basically just telling them what to write on the pay-to-the-order-of line. Then, you will be bored if you are a highly coherent person. It is what happens between the people that either creates the juice or shuts it right down, and you just say, “Okay, remind me why we’re doing this again”. There are a handful of made-for-sales deal killing characteristics and the big one is the people who have no freaking clue that other people see the world in a different way. It’s like somebody poured concrete in their ears, they listen to their internal voices only, I don’t mean pathological voices, whatever they believe is truth, and so they never have input. So, I just did the head of sales for the leasing arm of a big bank. Unfortunately, this guy inherited a team that had a good 25% of people who have that flaw, across other things might have been different, but they had that in common and I said, “Look, in my experience, the deal killer for me were interns”. You get the little nervous chuckle and then you get the feedback that says, “Yeah, you know, and what am I going to do with these people?”. Well, stop spending any more money training them because if they’re not listening to you what makes you think they’re going to listen to the sales trainer? This is not happening. The reason they can’t network is because networking is about having open ears. Mark S A Smith: This has been a delight Dr. Janice, and for a couple of reasons. One is you’ve given me some new insights in what’s required to really have a successful, highly disruptive sales team which is the concept of high-coherence teaming. So what’s the next step for somebody who would like to learn more about Teamability? I’m guessing that the next step is buying the book “Timing Isn’t Everything. Teaming Is”, available from Barnes and Noble, and your favorite book store, and Amazon.com and of course we’ll have a link on the show’s page for that. Dr. Janice Presser: Well, actually if you are working with a team you just have to pick the phone up and call the office here or contact us on any social media and of course we’ll have links there. And the way we engage with people actually is the way we transformed our own sales. So, we’re going to be happy to offer any listener their own Teamability experience. By the way, it’s fun. You get to star in a series of ten movies. It takes about an hour then we’ll send you your complimentary self-coaching report. Mark S A Smith: And why not? Dr. Janice Presser: Well, as the stories have piled up for an early client that had 30% expense of new hire turnover in mining and manufacturing, and got it to zero just by simply selecting people who would fill those positions that were so critical and really wanted to do that work, and then helping managers understand how do you now develop them, and motivate them, and make that team chemistry happen. Well, that then led to the development of the playbook which we packaged right in with the team analysis. And it’s specific to the person who’s leading the team. So, you know you and I could have exactly the same team who, let’s make them engineers, that’s fun, that would’ve been my fun job, engineering, right? And we can have exactly the same people but because we team differently, you know leadership is just a team sport, because we do it differently our playbooks would be completely different because they are written from the standpoint of who’s managing those other people, how does everybody team, and then how do you use that information to get where you’re trying to go. That’s been amazing because that’s where people start to really feel appreciated and respected, which is not a generic thing by any means. Our inclination, just like it is to hire people that are exactly like us, and it is also… it’s to respect them and communicate with them in the ways that we like to be talked to. It’s just it doesn’t always work. It works sometimes but it will never always work. That’s really exciting. I just found out that a sales team from a very large company that I don’t know if I have permission to name so I’m just going to say it’s a very, very large company, a leader in their industry, which involves a lot of manufacturing and sales at a very high level. They cut their new sales hires to zero turnover also. Mark S A Smith: Wow, that’s a big deal. Dr. Janice Presser: That’s a very big deal because top sales people are, and should be, expensive because… they should be and anybody who puts limits on the amount of commission you can get, big mistake if anybody who’s not in sales is listening, probably the worst thing you can do. Mark S A Smith: Drive your major source of revenue to somebody else, probably to your competitors why don’t you, by refusing to pay them more than you pay yourself. Yeah. Dr. Janice Presser: I love paying people more than myself. That’s the most exciting thing and yet how many times have people said to me, “Well you can’t do that”. Well, why not? I figure if I got the first dozen sales people to a million dollars, that would mean we were driving another 35 million in given the way the ownership breaks, that would be pretty good. I really want them doing that. Mark S A Smith: That’d make you jet rich. Dr. Janice Presser: You know, what’s important to me is changing the world. When you make the workplace a better place to work it makes the world a better place to live. Mark S A Smith: That’s right. Everybody gets to the impact world in a positive sense when you make the world a better place. Such a great thing. Well, I’ve really enjoyed our conversation, some great insights and thank you for your generous offer and I suggest that, friends, you take advantage of this to figure out ways to improve your connection with your customers, and your people so that you can disrupt your market. Dr. Janice Presser: Well, Mark, this has been fantastic and I hope your tribe and my tribe merge and do better teaming together. Mark S A Smith: Sounds like a great plan. Thank you Dr. Janice.